Ford Racing Timing Chain covers are a high quality direct replacement for your stock timing chain cover. 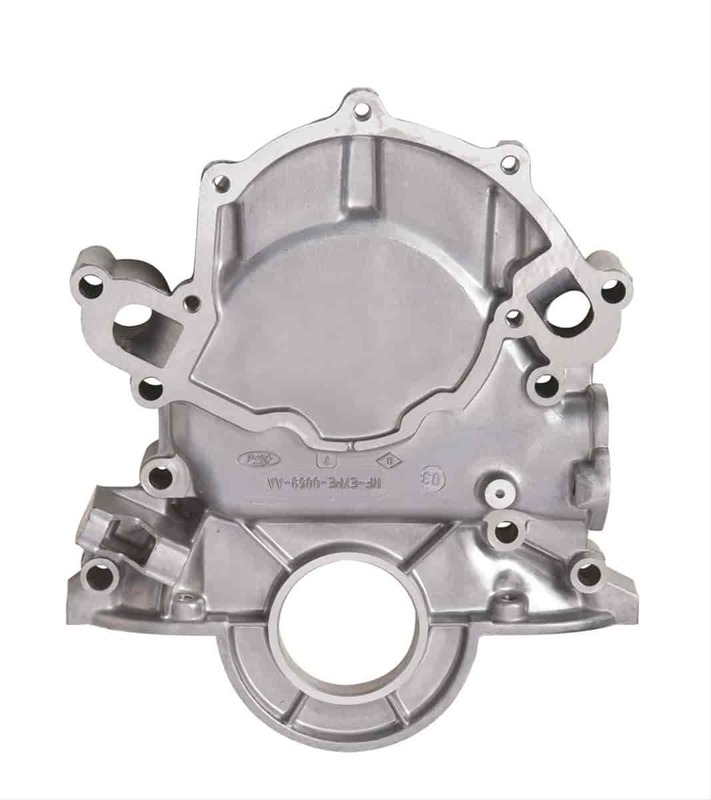 Ford Racing starts with a new casting and precisely machines their covers to insure proper fit and function. Stop searching and replace your leaking or even broken timing chain cover with a durable Ford Racing timing chain cover. Includes Fuel Pump Boss and Dipstick Tube Hole. Works with Standard or Reverse Rotation Pumps. Does Ford Performance M-6059-D351 fit your vehicle? M-6059-D351 is rated 4.0 out of 5 by 2. Rated 5 out of 5 by Woodstuff from High Quality It seems like a real high quality part. I did have to remove some sharp flash, but maybe that is to be expected. I had it ceramic coated before installation.